Matt Dodson arrives at Space Academy little prepared for the rigorous program he is about to enter. But that's the point of the academy: to take young men and steep them in a demanding tradition of honor, courage, and sacrifice until they have earned the right to join the Patrol as guardians of the solar peace. Unfortunately, even the academy's high power training can't completely prepare Matt and his friends Tex and Oscar for the harrowing test of both survival and diplomatic skills they will face when a mission goes disastrously wrong. 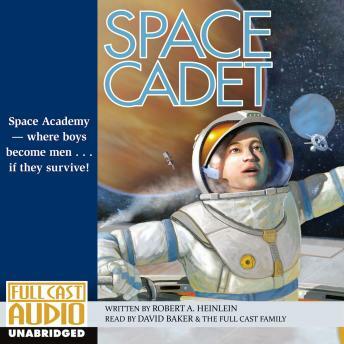 A classic coming-of-age tale, and one of the most influential books in the history of science fiction, Space Cadet features the compelling mix of wit, action, and a clear vision of the future that are the hallmarks of Heinlein at his best.